This organisation boasts world leading research and development laboratories, where many of the discoveries and innovations that drive the this company’s pipeline to new potentials occur. This installations at other site within this organisation worldwide, they are a dedicated Dycem customer and have found multiple ways to implement the Dycem product throughout their many facilities. Throughout each building at this facility, multiple Dycem systems are installed at the entry to smaller labs, along with many larger areas that act as a cross through between different parts of the buildings. 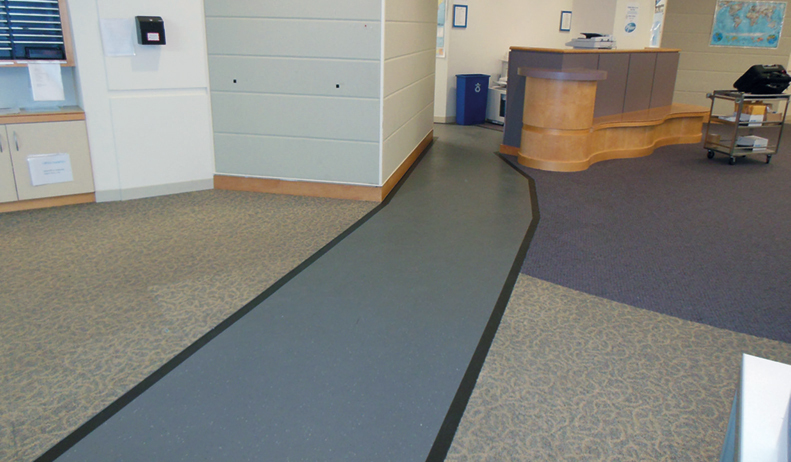 This also includes a pass-through area abutted with carpet to manage traffic flow from labs on one side of the building that are accessing labs on the other side of the building (pictured below).